Zombies are part of the history of Voodoo and represent more than monsters with their beginnings founded in the religion. However, the fictional generation of zombies rising to the top of the horror heap in shows like The Walking Dead and classic films like Night of the Living Dead have nothing to do with Voodoo. Meanwhile, the real origin of zombies and relationship to Voodoo is debated by scientists, historians, and folklorists. The word zombie may have first appeared in English when Robert Southey, a scholar and poet, wrote a history of Brazil in 1819. Southey noted in his book that the word "N'ztimbi" was used as the title for a local chief, indicating rank and power, and seemed to indicate "deity." Southey's brother-in-law, the poet Samuel Taylor Coleridge, argued that N'ztimbi meant a life force or a soul and not a being, and that men were robbed of this force when enslaved. So, when someone no longer had control of his own life -- a slave -- he lost his soul and became a "zombie," under the power of another. This motif continues in the image of a modern zombie, as noted by folklorist and author Marina Warner. The zombie belief had its roots in Africa, where it may have been associated with a snake god. As slavers brought men, women and children to Brazil and later to Haiti, the idea of a zombie traveled along and took root in the New World. In Haiti, voudou was the main religion, based on African and indigenous traditions. In voudou, an all-knowing entity can be worshipped through the loas, or spirits, and humans can be "ridden" or possessed by the loas. Zombies were part of Haitian culture, although not strictly a part of voudou. 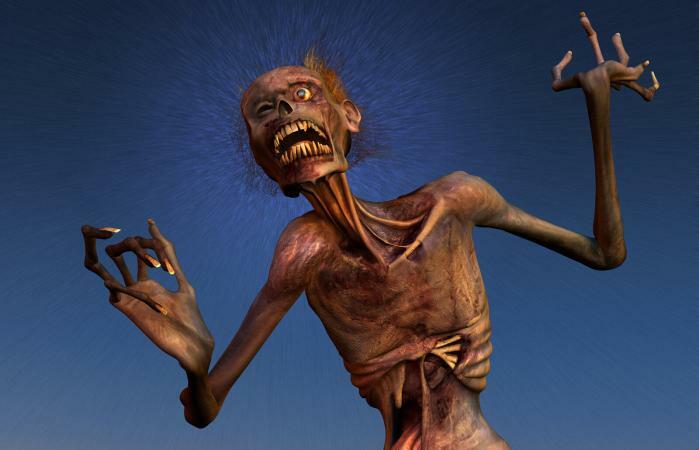 In Haiti, the zombie was created by a "bokor," a magician who performed both white and black magic for pay. The bokor existed on the outer edges of the voudou religion, a sorcerer who could control the dead. One of his skills was capturing part of a person's soul, called the "zombie astral." Some believed that loss of the soul turned a person into a zombie. The bokor might sell the soul to people who wanted power, or he might keep the zombie soul and make the body work in the sugarcane fields. When the bokor died, the zombie astral returned to God and the physical zombie was freed. Although the African community was familiar with the idea of a zombie, not until the US occupation of Haiti (1915-1934) did zombie stories begin to enter American culture. Soldiers heard about voudon practices and brought stories home to the US. The belief was that a bokor would locate a new burial, reanimate the corpse and keep the resulting zombie as a slave. In 1864, the Haiti criminal code made it illegal to create zombies. In 1929, The Magic Island was published and zombies entered the American culture. This book, by William Seabrook, told of Seabrook's travels around Haiti and his supposed experiences with the supernatural and voudou. The Magic Island was a brew of sensationalized descriptions of Haitians and their beliefs, and contained a chapter about zombies and the bokors who created them. The book was a best-seller, and gave rise to novels, plays and films about zombies, but these had almost no basis in the traditional zombie beliefs. The first full-length zombie film was The White Zombie, released in 1932 and based, in part, on stories from The Magic Island. The film told of a white woman changed into a zombie by her jealous boyfriend who is eventually saved by her true love. 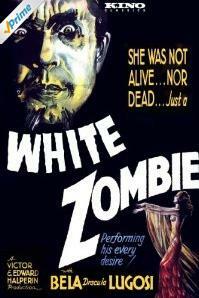 Although not a hit, The White Zombie set the theme for zombie films. For three decades, the zombie was depicted as a mindless being under the control of evil masters. Zombies shuffled around and did their jobs but were more frightening than dangerous. The 1968 cult film Night of the Living Dead changed all that by introducing flesh-eating zombies under no one's control but their own driving hunger. After this film, zombies were depicted as decaying corpses that could run, eat, and even think, and were interested only in eating the living and increasing the zombie community. Despite pop culture's influence on zombies, scientists and folklorists continued to seek out the truth. Zora Neale Hurston, a folklorist and writer, visited Haiti in 1937 to learn about zombies. She met a woman who had returned to her village after many years, and claimed she had been a zombie slave. Although the woman's story appeared false, Hurston believed a zombie might be the result of someone having ingested a poisonous mixture made from animal venoms and plants. Scientists started to examine the physical aspects of zombification, interviewing family members, bokors and even the zombie. Clairvius Narcisse returned to his village in 1962, saying that he had been a zombie slave for two years and then wandered for many years after his bokor died. His case is one of the few zombie stories which was widely accepted as true. Ethnobotonist Wade Davis wrote that zombies were "created" by the use of poison: a bokor would administer a nerve toxin like tetrodotoxin, the individual would appear to die and be buried, and the bokor would dig up the corpse and keep the individual as a slave by continuing to administer drugs. Davis was criticized for his theory, but some scientists believed it was possible. In 1997, an anthropologist and a medical doctor examined three cases of zombification, and published their results. They noted that the three victims may have suffered from drug-induced trances, although they also showed signs of brain damage and developmental issues. Today, zombies continue to be a Halloween go-to, even as the true story of zombies is still being written. Scientists are studying how zombies could occur in nature, although these zombies are wasps. In fact, the idea of a zombie plague gained so much interest with the public that the Center for Disease Control developed an informational brochure about disaster readiness and zombies. Regardless of whether zombies are depicted in books and films as rotting corpses or comic creatures, in some cultures zombies remain as real as anything else in this world.